There is a new trend emerging for women and it’s all about self-appreciation and self-loving and people are all over it on social media. It is the rise of the self-love ring; some women are even taking it as far as marrying themselves and others are in a relationship referred to as ‘sologamy’. Together with Angelic Diamonds, retailers of engagement rings, we take a closer look at the trend and how women are showing off their independence. Where did it originate from? The rise of social media platforms like Snapchat and Instagram has encouraged women to love themselves. Although seeing filtered beach bodies on our news feed isn’t always great, there have been many women who have posted photos of their natural selves too and persuaded others to do the same. For example, there was a trend which involved ‘No Make-up Selfies’ — a photo of yourself without make-up or even the reality of what your body really looks like after birth. Many celebrities participated in this and told women to love their natural selves! The selfie culture in general pushes women to appreciate their bodies, as they post photos of themselves and receive ‘likes’ and comments from their friends and family. There is also the huge influence of celebrities that has encouraged women to love themselves too. Many famous figures have talked about their tough times growing up and how they’ve learnt to appreciate themselves. Others have encouraged magazines and photographers to not edit their photos so that women can see that their bodies are not in fact flawless. We are so use to seeing those perfect photos would we actually find it strange seeing the not so perfect bodies?! There has also been a rise in participants of meditation and mindfulness — taking time out of the day to be present within yourself. Research has shown that it can reduce stress, depression and anxiety and experts encourage people to take time out of their day to focus on Meditation interlinks with self-love as it focuses on taking time out of the day to concentrate on yourself. Employers are also introducing this to help employees. Some people are referring to them as anti-engagement rings, but that’s not what they’re all about. They are meant to represent one’s commitment to oneself and a dedication that you’ll put yourself first and look after your own well-being. 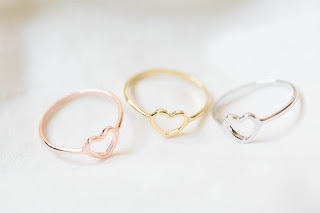 They are meant to be worn on your little finger — to represent a ‘pinky promise’ to yourself. Some jewellers offered specific ‘pinky’ rings but they can be bought as a smaller regular engagement ring. Those who practise self-love have said that when you love yourself, you change the way that you act and this can positively affect your relationship as you no longer rely on your partner to make you happy. Some females purchase a self-love ring with their best friends to focus on the importance of friendship and make a pledge that you’ll both love yourselves. Some women have taken the concept even further, organising a ceremony of self-marriage. The first sologamous wedding was thought to be in 1993, when an American woman called Linda Barker married herself in front of her close friends. I actually find this one rather strange but hey do what ever makes you happy. Marrying yourself is not a legal process (you can’t divorce yourself, claim legal fees and your marital status won’t change), instead it is simply a celebration, although vows can be made. It appears as though it is more women who are taking part in this than men, possibly as a protest against the pressures that they often feel to be in a relationship. The ceremony was a deep act of self-acceptance, saying your commitments out loud in front of friends and family solidified them. It was a celebration of the commitment to the health, well-being, and happiness of oneself. It’s not just for the single woman either. Some women who have gone through the ceremony have partners and husbands, but this day was all about them! A company has been created on the back of these ceremonies called I Married Me — it offers wedding supplies to one-person ceremonies. Demonstrating to yourself that you’re confident and empowered doesn’t have to come in the form of a ring. There’s other ways to show your love for yourself, for example you can treat yourself to some clothing that you’ve been wanting for a while, have a spa day or simply to just invest some time into you!